Sasha Hayes was a multi-sport star growing up in the Triad area, with figure skating and golf emerging as her competitive loves as she entered her teen years. Then it was time for another life altering decision – breaking away from home schooling to enter the public school arena. Hayes enrolled at Reagan High School two years ago with the idea of playing on the women’s golf team and not pursuing a skating career. With a state championship medal and a golf scholarship to Campbell now secured, it’s clear Hayes made the right choice. Maria Atwood, a freshman from Holly Springs, shot a 72 for a two-stroke lead on Hayes and three other golfers after the first round, but couldn’t find her game on day two at Pinehurst No. 3, shooting an 81 that included a quadruple 8 on the 9th hole. Despite a poor final 18 holes, Atwood was still able to finish tied for fourth, nine shots off the pace. But with Atwood faltering, the door was left open for the senior Hayes to close out her brief but successful prep golfing career in style. Hayes, who had a top 10 finish last season at the state championship, was the top scorer for a Reagan squad that gave coach Jay Allred his first title in his 12th season at the Pfafftown school outside of Winston-Salem. Allred had coached a state champion in the past – his oldest daughter Victoria – who won the 4-A individual crown in 2011. Hayes shot 65 to win the 4-A West Regional in leading the Raiders to a 225 and a 20-shot victory over Ardrey Kell entering the state championship, where Reagan overcame a two-stroke first-round deficit to beat Pinecrest by six shots. Green Hope came in third, while Cardinal Gibbons tied for fourth with Jack Britt. Hayes, who shot an opening-round 74, defeated Pinecrest’s Mara Hirtle by six shots while Reagan’s Morgan Ketchum (74-80), a freshman, placed sixth. “Morgan played 33 holes of great golf, if she had parred the other three holes she would have shot 71-74. The renovation to Pinehurst No. 3 made the course very challenging and one mistake can cost you several strokes,” Allred said. “We were very loose coming into day two,” added Allred. “I think some of that had to do with how Bowman-Choat and I approached things differently this year. We got away from the typical practice of putting all the time and doing drills. We just put them up on the golf course and made them play every day at practice and concentrate practicing their techniques on their own. I kind of felt they needed to know their swings and it was their responsibility to know their swings. And that elusive state title came despite giving away five shots on the opening hole of the 36-hole championship. 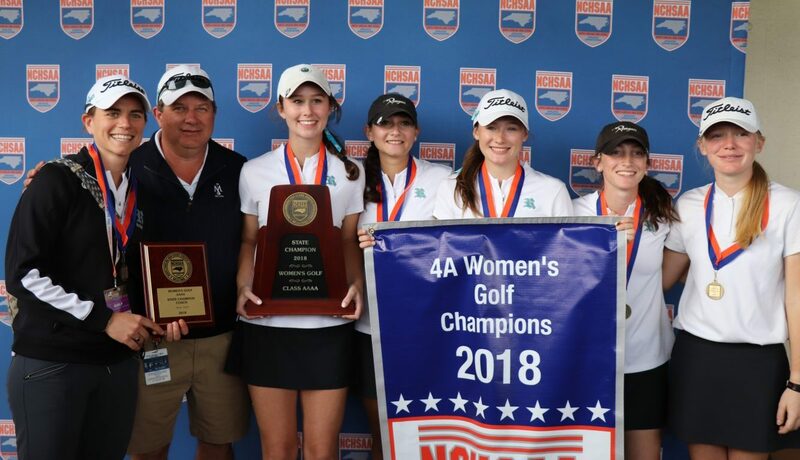 In addition to the state title, Reagan also set the North Carolina women’s prep record with the best-ever nine-hole score of 101 on Aug. 29 during a regular-season match. White has been nominated for the Morehead Scholarship and is entertaining playing college golf. Hayes said she will study business at Campbell and attempt to get a master’s degree. 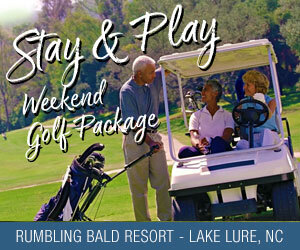 Allred is the Publisher of Triad Golf Today and Triangle Golf Today newspapers. In addition, he is an advocate for College Athlete Protections and was successful in the creation of the N.C. Legislature’s Commission for the Fair Treatment of College Athletes.